Moore Colson, the number one ranked Best of the Best CPA and advisory firm in the United States by Inside Public Accounting, recently announced it has been awarded a 2018 Top Workplaces honor by The Atlanta Journal-Constitution. 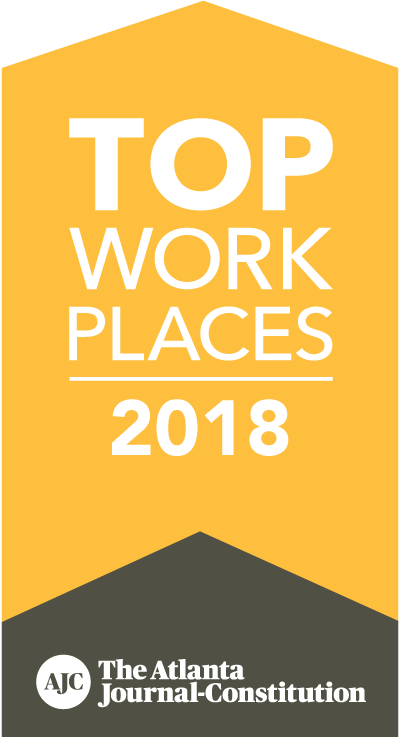 Moore Colson, the number one ranked Best of the Best CPA and advisory firm in the United States by Inside Public Accounting, has been awarded a 2018 Top Workplaces honor by The Atlanta Journal-Constitution. The list is based solely on employee feedback gathered through a third-party survey administered by research partner Energage, LLC (formerly WorkplaceDynamics), a leading provider of technology-based employee engagement tools. The anonymous survey measures several aspects of workplace culture, including alignment, execution, and connection, just to name a few. Moore Colson has been providing accounting, advisory and consulting services to mid-market businesses and Fortune 500 companies in the Southeast and nationwide since 1981. Headquartered in Atlanta, Moore Colson is one of America’s largest and top award-winning firms delivering innovative and practical solutions in a true partnership model. Only Moore Colson provides the expertise, relentless integrity and personalized experience to help your company achieve its business goals. Learn more at www.moorecolson.com.